The Key to a Good Appeal Letter - Communicate! A good appeal letter is not about the nonprofit organization. It’s not even about the impact of its work. It’s about the donor. 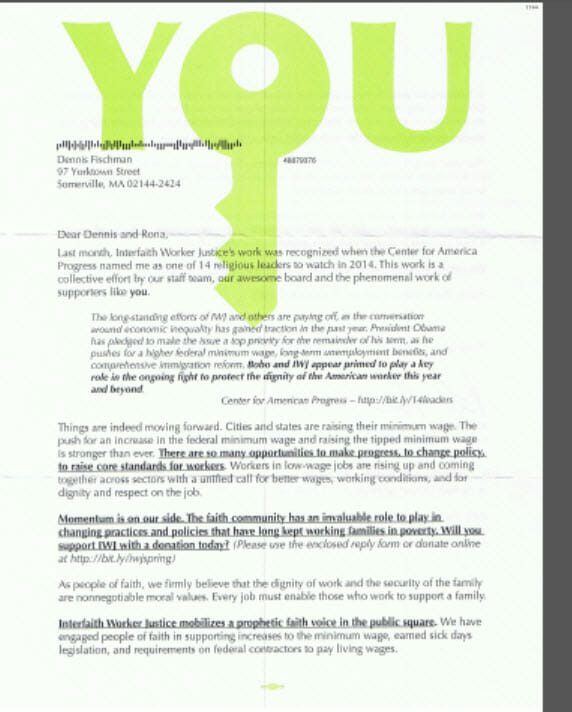 This appeal letter I received from Interfaith Worker Justice is not the ideal appeal letter–but it has one strong point. The graphic stands out from the text. It’s even more visible because the envelope bore the same graphic in the same color scheme. My eye was trained to look for it before I opened the envelope. 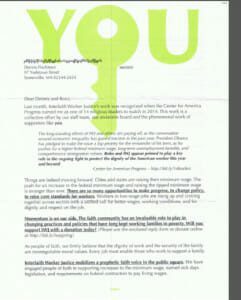 “You are the key.” That’s the message that made me, the donor, want to read the appeal letter, even though it could have been written much more effectively. It’s also the message that makes a donor want to give. How are you sending that message to your donors?